In the beginning of my career as a gym owner and fitness coach, I trained people that saw only part of an exercise pattern, the start and end phase, and thought that they were performing the pattern correctly as long as they got to that end phase in any way possible. I wish I had been better able to explain myself back then with more than just repetitive exercise correction. I know now that in most cases understanding the WHY is more important than the correction itself. With this section I hope to get across to you the WHY for understanding muscles targeted, and the importance of using good form and technique. With all that said, I hope that you will take the time to dig deeper and retain the information on muscle specifics. To see all content, enroll today and get full access to the course, purchase the ebook and start reading right away, or order the paperback. 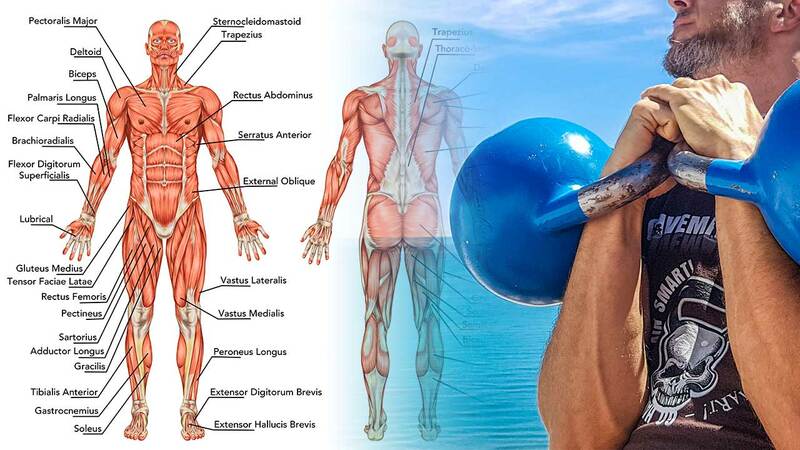 Over 125+ pages of content that will teach you the fundamentals of kettlebell training.